Every tourist in New Orleans has their picture taken in front of the St. Louis Cathedral in Jackson Square. Usually, they climb the levee with a lump of sugar-slathered fried dough washed down with bitter coffee sitting in their stomach like the grease of doom to grin at the camera while facing the river. 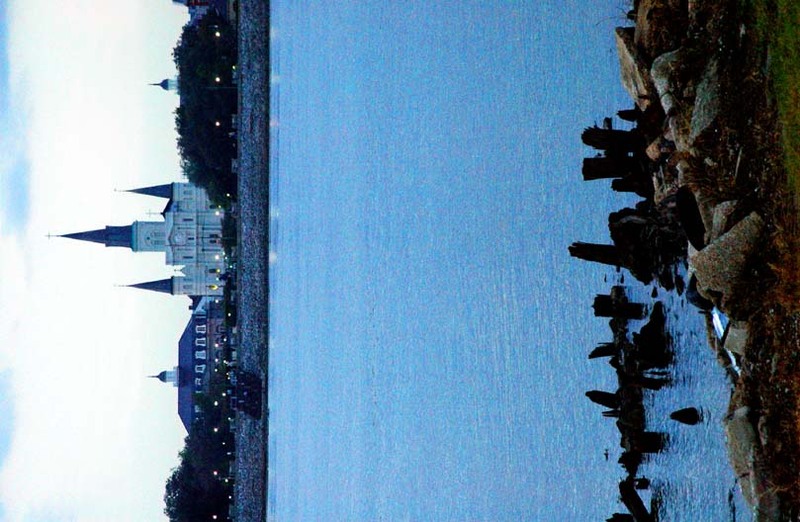 I prefer this view of the Cathedral, from across the Mississippi at Algiers Point. The water flows by… always different, always the same. Are people like that? I wondered. Am I like that? Always me, like the river itself, always flowing but always different, like the water flowing in the river, sometimes walking steadily along andante, sometimes surging over rapids furioso, sometimes meandering with hardly any visible movement tranquilo, lento, ppp pianissimo, sometimes gurgling giacoso with pleasure, sometimes sparkling brillante in the sun, sometimes lacrimoso, sometimes appassionato, sometimes misterioso, sometimes pesante, sometimes legato, sometimes staccato, sometimes sospirando, sometimes vivace, and always, I hope, amoroso.